Smart entrepreneurs sweat the big stuff and delegate the small stuff. The delegated work is the “busy work” getting in the way of your success. Most entrepreneurs think about business ideas at the speed of light, but their business is running on a treadmill. Defeat feeling overwhelmed by focusing on activities that are a priority. We all know strategy is how you plan to win or compete. The definition of strategy in business is a little different. It’s actually deliberately choosing specific activities to offer unique value. To take it a step further, in order to be unique, it’s choosing to perform the same activities differently as your competition or performing different activities. If everyone is doing the same thing it’s not unique. Does that sound like how you run your business? Is everything you do, every activity in sync to find customers, produce and deliver the value you offer? Notice what the definition of business strategy does not say? It omits defeating the competition. Unlike sports or war, two businesses can be profitable at the same time. 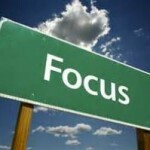 To reduce overwhelm you need to focus on the proper activities. If the next six months unfolded perfectly, make a list of the BIG THINGS that happened. Don’t fill in the small stuff yet. Pick three completed projects that would have the biggest impact on your business. Setting goals too far out in the future makes them dreams. One month is a finish line you can see and feel. From each of your new “priority” projects, choose a milestone for the coming month. Pick 3 goals that would make you more money or reduce a current expense. Next create a list of tasks for this week. I find it helps to build a list for the week on Sunday night, then take from the weekly list my goals for Monday. On Monday night I do the same for Tuesday. This simply structure has helped me accomplish more in my business than you can imagine. It will only take you a week or so to see some amazing progress and how simple and efficient it is to keep on track with this simple system. At the end of the month you will be amazed at how much significant stuff you have crossed off the list. To be competitive and profitable your business needs an organized strategy. Strategy is nothing more than deliberate activities you choose to create value. This easy and fun process helps you get structured and focused on the activities and goals that matter the most to help you earn more money. As entrepreneurs we tend to spend too much time on busy activities and not value activities. The busy work will always be there but we need to schedule the time every day for the activities that make our company stronger.